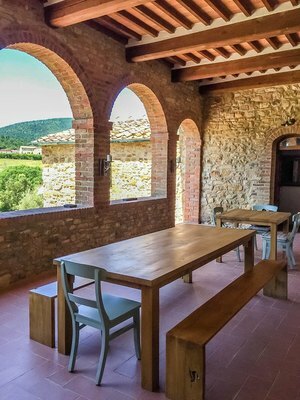 Join Kim Dastrup and Scott Moore for an unforgettable yoga retreat in Tuscany, near Radicondoli, Italy, in the province of Siena. Immerse yourself in the heart of Italian culture, body, mind, and spirit. You will arrive and get settled on Sunday June 23 and will leave Saturday June 29. Our intention for this retreat is to help make your body, mind, and spirit joyful and present with a full banquet of delicious yoga practices, picturesque touring, and a warm cultural immersion. This will be a yoga retreat of a lifetime. Our hope is that you will deepen your practice, discover the world, and treat yourself! Scott been teaching yoga and mindfulness for 17 years in Salt Lake City, San Francisco, and New York City. He's an E-RYT 500 and have a level 1 certificate for iRest Yoga Nidra with Dr. Richard Miller. Scott believe that yoga is for everyone and loves to teach everything from therapeutic yoga, alignment-based vinyasa, restore yoga, meditation, and Yoga Nidra. One thing that he's learned from working with so many people is that everyone has an extraordinary life to live and that everyone's pathway to wellness is unique. Kim has been a prominent yoga instructor in Salt Lake City since 2003. She teaches a style of yoga true to the tradition and spirit of an ancient and sacred practice. Her classes are suffused with intelligence, creativity, and compassion derived from her years of teaching and extensive training with some of the greatest teachers across the country. This beautiful villa offers clean, stylish and very comfortable accommodations. 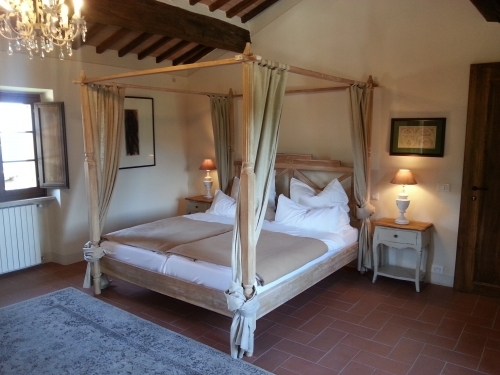 There are eleven rooms, distributed between the first and second floors of the villa. The décor of the villa reflects the surrounding colors of the flora and land and has been meticulously designed to create the most stunning retreat atmosphere. We'll assign you a roommate unless you come with a friend. You may opt for a single room for an additional price, however these are limited. Yoga will be geared to all levels and will be a mix of active, therapeutic, restore, and meditation, guided by two experts. Tuition does not include airfare. Reserve your spot with a $500, non-refundable deposit. The remainder of your tuition will be due no later than May 1, 2019. You may cancel and receive a tuition refund (without your non-refundable deposit) prior to March 1, 2019. You may also sell or give your spot to someone else in the event that you can't come. If we have a waitlist, we can help you find someone else who may want your spot, however it is not guaranteed. Full tuition is due March 1, 2019. Please fill out the form and then follow the PayPal prompt to make your payment. Your registration is only complete when you've made your payment. Thank you! You’ll receive an email soon with more information.